Has your dog ever experienced having mange? When I got my first puppy, Buchi, I picked him because he was the nicer of the bunch he was with. Little did I know that the reason he was probably fond of sleeping and resting when I got him was because of his mange. After a week since I got him, I noticed him scratching his body over everything- even his cage. It breaks a master's heart to see their dog suffer with this kind of skin problem. I did not know he had sarcoptic mange. I also suffered with him because I had no idea what it was and I held him everyday when I got home from work. Eventually I had red patches of skin all over my extremities because these organisms are capable of passing through clothing. I had to bath myself with sulfur soap everyday for a month before it completely disappeared. It was very traumatic. My skin had crusty flakes all over like thick dandruff (I know, sounds ICKY right!?!). I was growing bald spots when I should've been shaggy. My master changed my beddings everyday and bathed me with antifungal soap. She was hoping that I get even just a tad better with all her effort. She even bought me an 18 watt tiny electric fan because she learned that the mange becomes itchier in hot weather. But after two weeks of antifungal soap, vitamins and antihistamines, it kept worsening. Until it came to a point that I had a small lesion in my eye because of my scratching (like a Corneal Ulcer). My master decided to bring me to another veterinarian because the previous one just kept on assuring her that everything was fine but this happened. For more information about this article, please refer to Itching Like Hell. The medications and actual expenses on how Buchi, my shih-tzu was treated is included there. Not everybody is capable of affording the treatments such as this so here are some pointers in dealing with mange. First of all, do not assume what type of mange your dog has. It's always better to visit the vet. 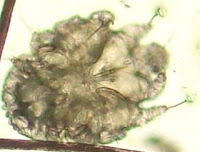 The above picture was what the vet showed me when I look through the microscope so they're that small. The dog experiences severe itchiness that he scratches 'til he bleeds or his eye got damaged due to his excessive scratching or rubbing to objects that can ease it the itch. 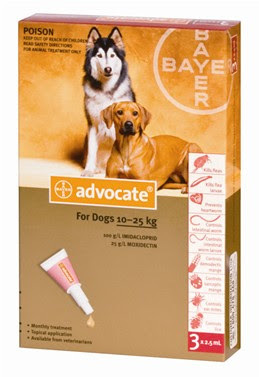 If you have a puppy, then buy Advocate for Puppies. The picture here is the product for older dogs. Once this is applied, the medicine should stay on their backs for a week- no bathing or touching the medicated portion and getting wet is a no no, as well. After the doctor applied it on Buchi's back, he experienced almost instant relief. IT'S THAT EFFECTIVE. 3. Housekeeping. Don't forget to have those old sheets cleaned. Mites travel so it's imperative to clean the surrounding area where your dog stays so he can have a fresh new mange-less start. 4. Forget us not. If you have other dogs, you should assume they already have it unless your absolutely sure mangy mutt (I say that literally) had been confined ever since the infestation started. Buchi was in a cage and he belongs with a family of mongrels or in Filipino terminology blue blooded "askals" so I just observed them if they showed signs of mange, thankfully, nobody ever did. 5. Fight the itching. Help your dog fight the itch by popping him an antihistamine. Dogs aren't humans so don't make a doctor out of yourself and prescribe him with human drugs. Veterinary clinics usually have antihistamines like dyphenhydramine (Benadryl for pets). Most likely, if you've brought your pooch to the vet, they'd probably recommend you to buy one inclusive with instructions on how to give them. The usual dose is one to three milligrams for each pound of pet. 6. Bring in the fatty. You can either put (just 1 tsp) olive oil in your dog's food everyday or give him vitamin E supplements. 50 PhP or approximately $1 for 10 cubes. For small breeds, the cube is split in half. 7. Feed me... well. Try to feed your dog quality dog food. Try to stay away from "junk foods", do away with the table scraps in the mean time. No feeding him pizza, or foods with artificial preservatives for awhile. 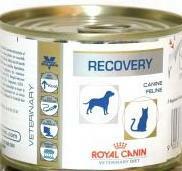 If you love your dog so much, buy him a can of Royal Canin Recovery food. Add a tablespoon in every meal during this period and he'll surely be happy to gobble it all up. Don't forget to store it in the refrigerator once you've opened it. Current cost is at 140 PhP but it really smells good. 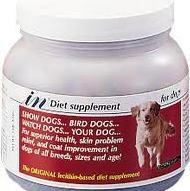 When my dogs got sick, this was the first thing vets recommended to be added in their diet. 8. Everyday is Spa Day. 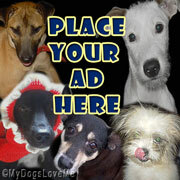 Lastly, keep your pooch pampered. Don't bathe him in a paranoiac pace (like everyday). But make sure he stays clean as much as possible. Grooming would include bathing him and brushing his hair. Just a healthy reminder, sarcoptic mange is highly contagious to humans so be careful whilst handling your pet. You might get infected, as well. And trust me on this, it's as itchy as hell. change the color of your font! I cannot read your article on my tab.